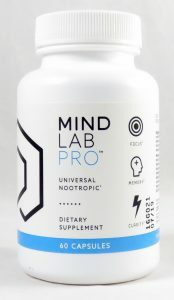 Mind Lab Pro (MLP) is the gift that keeps on giving, earning the top spot on our 2016 Best5 Nootropics list, and keeping the #1 title on our Best Nootropic stacks for 2017 list. Why? Because no other product yet has demonstrated the peak mental performance powers contained within Mind Lab Pro’s smartly formulated stack. 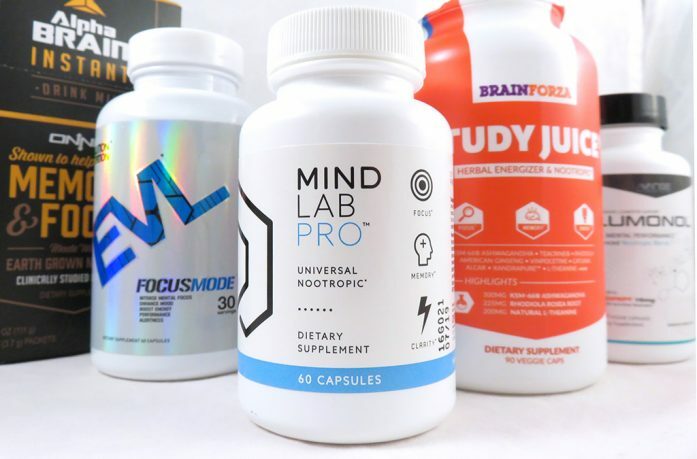 Bucking the ongoing trend of cheap ingredients & proprietary blend obscurity, MLP proudly displays its high quality, clinically dosed formula, delivering all of our top 5 Best Nootropic Ingredients in top ingredient forms & dosages. The sum total: Neurons “firing on all cylinders” at all times. MLP’s brain benefits are so diverse & comprehensive that users of all types may enjoy its benefits–from students to workers, geeks to bodybuilders, young & old. Cognizin® Citicoline, Bacopa Monnieri standardized to 45% bacosides, Sharp PS® phosphatidylserine (of the sunflower variety), P-5-P vitamin B6, clean Plantcaps® Capsules, and a squeaky clean label. MLP covers the ever-changing needs of the body’s most demanding organ — the brain! Whether the need is sharper focus, clearer thinking, more energy, less stress, etc., etc., MLP has got your brain’s back. MLP is an active formula for active people. We don’t recommend MLP if you want to simply sit around and feel good (although, MLP will likely do that for you). MLP raises the bar on mental performance, allowing you to carpe diem every diem–regardless of your professional, competitive, or personal interests. 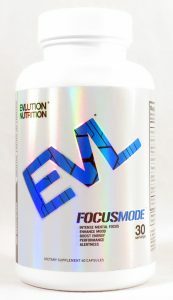 For a supplement manufacturer primarily geared towards the bros, EVLUTION Nutrition stacks up an impressively smart nootropic supplement with EVL FocusMode. Was that a slight jab at the bros? Insinuating they’re not smart? N-Acetyl-L-Tyrosine. Many formulas carry it. Few carry it in this premium NALT form, nor in as heavy a dosage as FocusMode–we’re talking a whopping 600 mg! The NALT alone gives FocusMode immense value for the ingredient’s reliable boosts on focus during stressful conditions, when focus is needed the most. 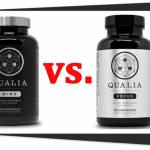 Toss in the Alpha-GPC + Huperzine A and FocusMode becomes a brain chemical booster as well, making it a valuable nootropic stack for both now & later cognition. 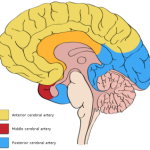 N-Acetyl-L-Tyrosine (at 600 mg), Alpha-GPC (std. to 50% A-GPC), TeaCrine® branded Theacrine, Zembrin® branded Sceletium tortuosum extract, and Huperzia serrata Extract (std. min. 1% Huperzine A). FocusMode enhances mental performance for gym-time & study-time. Or even work-time if your academic days are already behind you. FocusMode maintains its EVLUTION identity, delivering nootropics that double as pre-workout enhancers. College-aged students. L-Tyrosine is particularly beneficial for users who are on an excessively light sleep schedule. Anyone else living the typical gym-work-study lifestyle of college students may also benefit from this stack. The first thing we need to clear up: Study Juice is not a juice. The adaptogens. 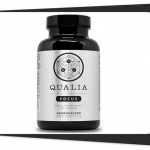 Rhodiola, Ashwagandha, Schisandra, Ginseng, N-Acetyl-L-Tyrosine–each of these ingredients help the body resist & adapt to stress, which is arguably the number one killer of focus, memory, and cognition (i.e. important mental aspects to studying). Other unique additions include the classic Caffeine + L-Theanine stack (which should be in every student-oriented product) as well as Theacrine, Vinpocetine, and, yes, our dear friend Black Pepper Extract. This is a hard supplement to take without feeling groovy & relaxed. Rhodiola Rosea Extract (3% rosavins, 1% salidrosides), Schisandra Chinensis 5/1 Berry Extract (as XandraPure™), Catuaba Bark 5/1 Extract, TeaCrine® branded Theacrine, KSM-66® Ashwagandha, N-Acetyl-L-Tyrosine, Acetyl-L-Carnitine, American Ginseng Extract (5% ginsenosides), Vitamin B6 (as P-5-P), Vitamin B12 (as Methylcobalamin), and BioPerine® branded Black Pepper extract. Premium grade nootropics. Re-read the “Quality Points” of Study Juice. That’s a lot of quality nootropics. More than any other nootropic on this list. Those just scream “potency” to us. Studying. Writing. Test-Taking. Gaming. That is a word-for-word description of who Study Juice is targeting, based on the product’s website. As such, this is a stack for the students, but we’d say it holds its value well past graduation day. There could only be one Alpha BRAIN on this list and we’re going with Alpha BRAIN Instant for providing not only the same awesome formula as the original Alpha BRAIN, but more of the same formula as the original Alpha BRAIN. And more is always better, right? While the first two differences are the most notable in that one of the blends is being nearly doubled in size and powder nootropic drinks are cool & unique, the latter difference, BioPerine, officially earns the “Instant” in Alpha BRAIN Instant by enhancing the overall bio-availability of the formula. Thus more of Alpha BRAIN Instant is being absorbed & utilized as opposed to the vanilla, no-BioPerine Alpha BRAIN formula (also, Alpha BRAIN Instant is cheaper). AC-11® branded Cat’s Claw, BioPerine® branded Black Pepper extract, powder drink mix packaging, & 500 more milligrams of Flow Blend (more flow, baby!). Tasty nootropics on the go. Not that capsulated nootropics are inconvenient or hard to consume, but the powder form of Alpha BRAIN Instant gives it a cool flavor (literally) rarely seen in nootropic supplements. Creative, non-caffeinated thinking. 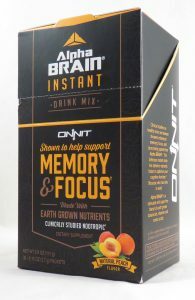 Alpha BRAIN Instant tosses out the caffeine, opting for brain healthy brain wave optimization. This ensures that the mind is thinking clearly & creatively, minus all of the focus-killing jitters of stimulants. This wouldn’t be a top nootropics list without one of the top class of nootropics: Racetams. Having said that, Lumonol doesn’t have any true Racetams per se, but it has a Racetam-like ingredient that’s even more potent & powerful: Noopept. Noopept is similar in structure to Piracetam, a memory enhancing, cognition sharpening nootropic drug, but is more bio-active, lending immediate psychostimulatory effects that seem to be: A) safe, and B) non-addictive. 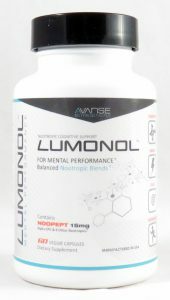 This is rather unique to mind altering synthetics, making Lumonol a rather unique mind altering stack–thus earning it a spot on our 2017 Best 5 Nootropics list! Focus Blend: Notching in more L-Tyrosine, great for stress & focus. Energy Blend: Ginseng & Caffeine for anti-fatigue, pro-energy benefits. Memory Blend: Ginkgo for short-term memory. Alpha-GPC for long-term. The overall combo of these blends synergizes well with Noopept, creating an energized, well-nourished brain ecosystem for clearer cognition & thinking. 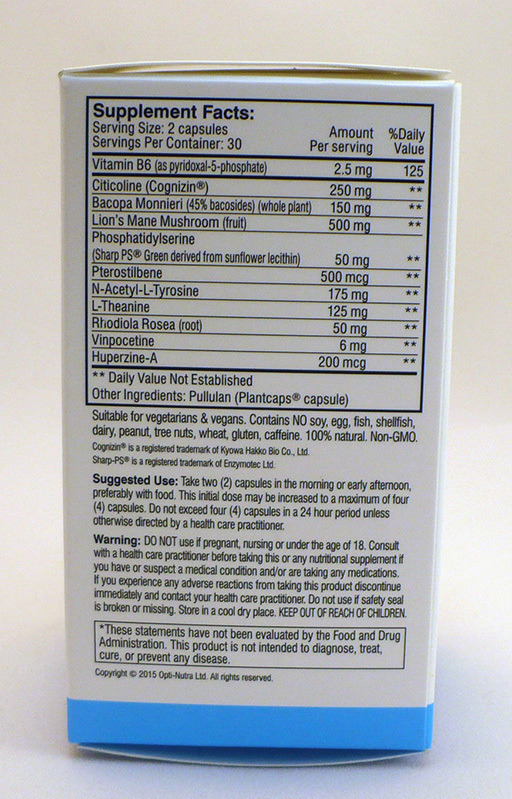 Noopept, Vitamin B12 (as Methylcobalamin), Acetyl-L-Carnitine, Alpha-GPC, and Vege Capsules. Noopept. This Racetam-like drug is essentially what earns Lumonol a spot on this list, as not too many nootropic stacks are bold enough to include Racetams in their formula. Coders, designers, night-workers, stage performers, students, creatives–the list given by Lumonol goes on & on. Based on Lumonol’s advertising, the product seems especially geared towards the tech-head bio-hackers (a la Silicon Valley). There you have it: Best 5 Nootropic Stacks for 2017. We’re hearing a lot of complaints about 2016. But with nootropic stacks such as these, 2017 is looking prettay, prettaaay, prettay good. These top notch brain boosters supply a wide range mental performance enhancing bio-activities, optimizing not only brain power but brain health as well. 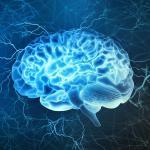 Such is the way of nootropics: Enhancing the mind without compromising the brain. If for whatever reason you’re just now learning of nootropics, now is perhaps the best time to jump on the band wagon. There’s this ongoing joke that New Year’s Resolutions are meant to be broken, but we personally believe that many of them are not only achievable but actually easy with the aid of cognition enhancers such as these. To both initiates & veterans alike, we recommend trying out Mind Lab Pro, our #1 brain booster, first as it provides something for everyone. Although, you couldn’t go wrong with any other product on this list. 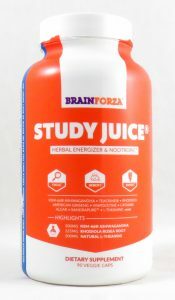 For more nootropic goodness, check out our brain supplement reviews on our Nootropics (Brain Boosters) Category Page, as well as our Best Nootropic Brain Supplements page which includes a mini-guide on nootropics. Want even more? 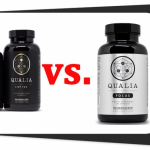 Keep exploring Best 5 Supplements to learn about How Nootropics Work, which nootropics are best for specific issues like anxiety and ADHD, and to find out what the hell is up with LSD in the workplace.